SUMMER 2003, CRETE. 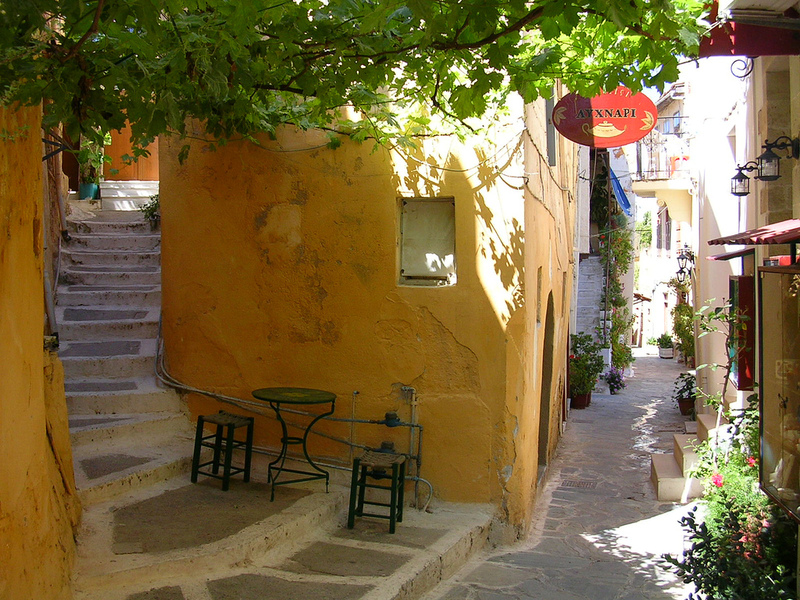 I’m staying in a self-catering apartment hidden away on one of Chania’s many labyrinthine alleys. Almost right opposite is a local shop where I stock up on pasta, vegetables and olive oil. The owner is super friendly and doesn’t speak a word of English. On my first visit he points to a giant glass demijohn by the door, which contains some lethal-looking and no doubt homebrewed firewater. “Booooom!” he exclaims, miming a shot being downed. I laugh, and that’s all the encouragement he needs to pour us both a healthy slug. It’s every bit as potent as I suspect. “Booooom!” indeed. We repeat this enjoyable ritual a few times over the course of a week – as a way of ensuring my customer loyalty, it beats a Tesco clubcard hands down. The shopkeeper’s DIY raki isn’t the only liquid memory I have from that trip – I also explored his modest selection of local and not-so-local wines, including a Boutari Naoussa. At a guess, maybe a ’97 or ’98. 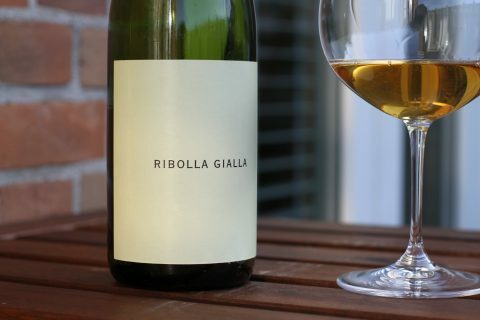 This rich, savoury and utterly serious tasting wine immediately struck a chord. As an avowed lover of tannic, even austere wines like St. Estephe and Barolo, it was right up my street. The Naoussa region in northern Greece concentrates on just one variety – the formidable Xinomavro, widely considered to be Greece’s highest quality red grape. The literal translation “sour black” doesn’t do it any favours, but there’s no denying that Xinomavro does possess an abundance of acidity and tannins. The traditional mitigation – long skin maceration, lock the wine away in oak for years, age it in bottle for at least as long again – has made Naoussa wines a hard sell in the modern era. Such a tannic grape variety needs a lot of fruit to sustain it through the ageing process. 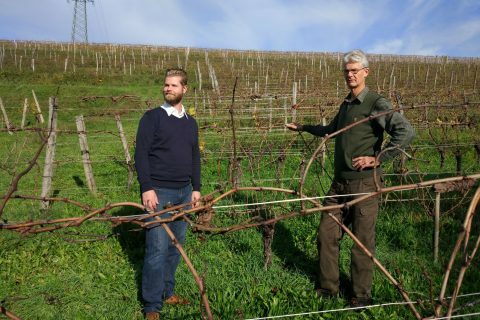 There’s a big risk of woody, dried-out disappointment after years of waiting – something I have witnessed a few times with supposedly venerable vintages from good estates. More modern winemaking is prevailing, as growers realise there is no market for a wine that demands a decade of cellaring – and might not be worth the wait. Thanks to the Naoussa growers association (no website as yet), I was able to taste 25 different examples of Xinomavro earlier this month. It was fascinating to see a mix between more modern styles, produced for earlier drinking, and more “serious” wines made for the long-haul. I wondered which would be more pleasurable – tradition or accessibility? The Naoussa PDO (“Protected Denomination of Origin”) is only for red wines, however some producers in the region also make white and rosé Xinomavros. These can be pleasant, but are a very minor part of the output. The Blanc de Noirs style, even from an excellent producer like Chrisohoou doesn’t seem to offer a great deal in terms of individuality. Xinomavro can also make a good sparkling wine, although no-one in the Naoussa PDO is currrently doing this. We did however enjoy the fresh, appley Karanika Brut from a nearby PGI region. Vintage is clearly important. The 2008s showed particularly well – apparently a cooler year with more refinement and freshness, but also probably about the right age for drinking now. These wines have softened but not lost their fruit. A solitary 2007 (From organic estate Elinos) felt a bit tannic and unlovely, in comparison. I was impressed with the overall quality – in general, neither acidity nor tannins were overbearing, even in young wines (2011s and 2012s). The region’s cooperative, Vaeni Naoussa, seems to be doing a lot right. With 330 growers, and a bewildering variety of old-fashioned and sometimes downright bizarre labels, I wasn’t expecting fireworks – but the top-end wines ranked amongst the very best. The blends with Merlot and Syrah were also very successful. Although Boutari started bottling Naoussa wines in the 19th century, and the appellation was Greece’s first to be created in 1972, the realisation of the region’s full potential still feels new. The grower’s association was only created in 2014! The best producers are making truly fine wines with character, gravitas and ageing potential – above all else, they are seriously pleasurable to drink, with a wonderful combination of red fruit, smoky, sometimes vegetal complexity and long length. Chrisohoou, Dalamara, Domaine Foundi and Diamantakos are the names I want to watch. For what it’s worth, the two “D”s (Dalamara & Diamantakos) also have the best labels. I hope it won’t take another 12 years before I visit Greece again – and this time I won’t be hunting for another raki hit, but rather to find out more about these very fine wines and the Naoussa region itself. For now, here’s a rundown of what we tasted. Boooom! These were the five highest rated wines of the evening. I scored on a 20 point scale, fellow tasters gave their opinions anecdotally. Sweet, raspberry and floral nose. A lot of fruit, quite upfront and – to me, at least – atypical. More “new world” in style. Very approachable, and you would hardly know this had been in oak for 18 months. 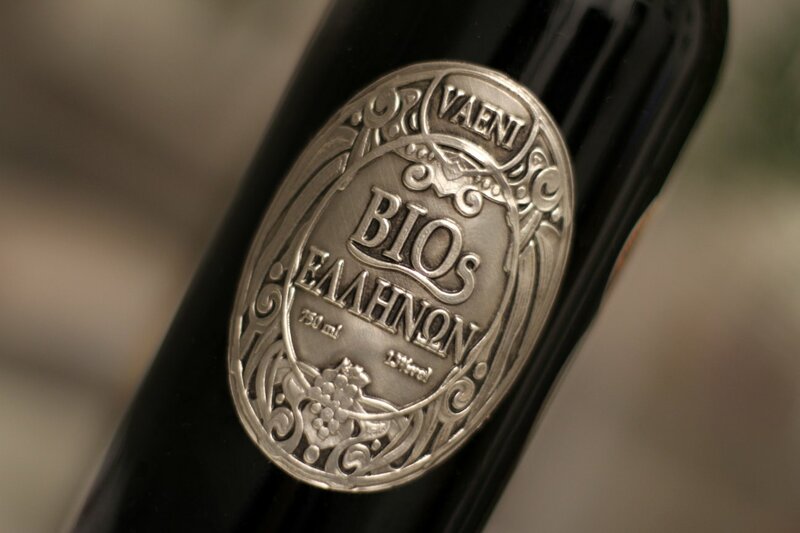 (17.5/20) – Also try the charming Jeune Vignes 2013, a light unoaked Xinomavro made in the style of a succulent Morgon. Tsantali is one of the largest producers, along with Boutari. 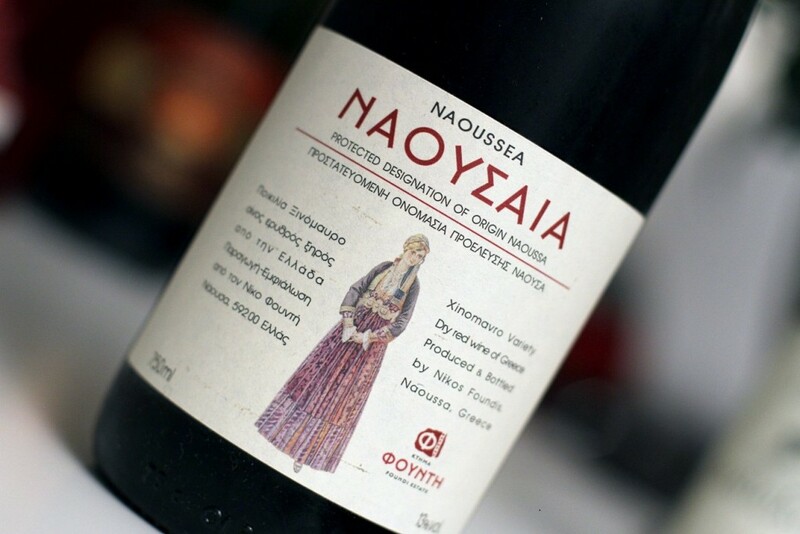 Their Naoussa 2012 (16/20) is easy-going and undemanding, with likeable fruit. 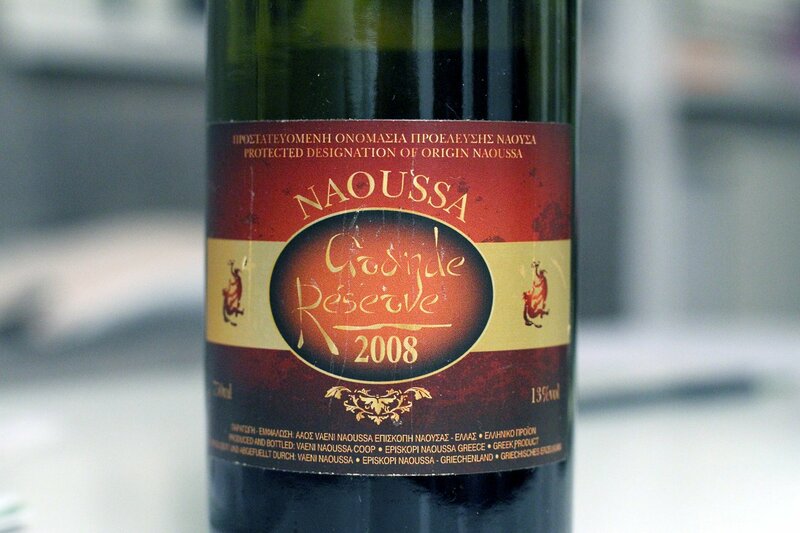 The Reserve Naoussa 2010 (16.5/20) is also very accessible, spicy but perhaps a little lacking in varietal character. A shame these wines aren’t available in the UK as they are attractively priced. Kir-Yianni’s Ramnista 2011 disappointed on the night, feeling a bit short and tannic up against the competition. However, I’ve had good experiences with this estate’s wines in the past (eg: the 2006). (15/20) Some vintages available in the UK from Vickbar wines. Elinos sent the only rosé (2013), which was fresh albeit tannic. I liked it (16/20), but their Blanc de Noir 2012 appeared to be faulty (nail polish aromas, sour milk flavour – failed malolactic perhaps?). Melitzanis’s Cava 2000 (cava signifying a reserve wine with more oak ageing, nothing to do with Spain) was impressively fresh and alive, if rather tannic – something that’s clearly not going to change now (17.5/20). The supplied sample of Naoussa 2010 had sickly, cloying aromas and mousiness on the finish that would suggest a bacterial infection. I have read favourable reviews of their wines elsewhere, so perhaps quality control needs a bit more attention. 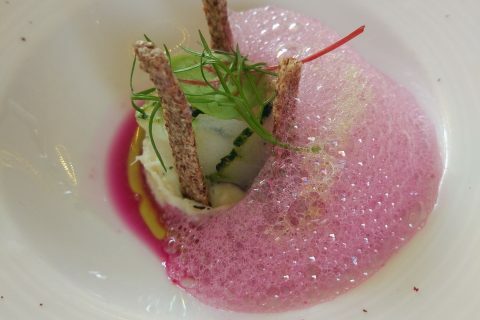 All wines were provided for review, with the exception of Karanika’s Cuveé special Brut, which was kindly supplied by Mariëlla Beukers, who has also written about this tasting (in Dutch) here. Many thanks to the producers for supplying the wines, the wine commanders for insight into Xinomavro (check their excellent blog here) and to Lily Dimitriou for organising the samples. 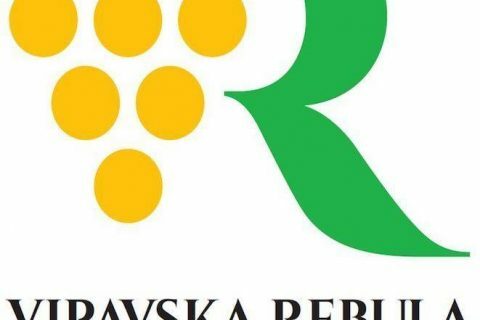 Producer Style Wine Year Cert. The scores are relative within this tasting, and only provided to give a sense of how the wine performed against each other. I don’t warrant that they align to anyone’s particular scoring system or scale! Thanks Jean-Luc and good to hear from you! I tasted some vintages from Ch. Pegasus at Vini Sud last year – they had a vertical of 4 vintages going back to mid-1990s if I recall. 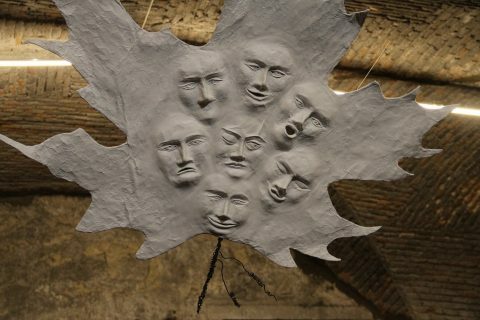 They were interesting, although I would say not all of them had what it takes to age that long. But I’d love to taste from the 80s… a good reason to come to Paris, for sure. I’ve now had the chance to taste many more Naoussa wines during a visit to the region, inclduing a wider slection from the two estates that did less well in this tasting (Elinos and Melitzanis). I discovered that there are certainly better bottles of the Melitzanis 2010 Naoussa in existence, without the unwelcome mousiness. Elinos made a good Naoussa 2009, which is a typical example of Xinomarvro with dried herbs, black olive and a decent amount of fruit. I wouldn’t rate it right at the top, and I’d rather it was a bit less bretty, but nonetheless it was enjoyable. Their 2014 Blanc de Noirs is a fresh, young white that would be perfect as a characterful aperitif. It did not suffer from the issues with the 2012. Thanks for that – I’ll look out for these names. In fact I think I caught up with Argatia when I was in Naoussa last year. Karyda is a new name to me, are they also in Naoussa or somewhere else? Yes both are from Naoussa wine region.